We had an excellent summer, jam packed with events, workshops and positive youth activities. We wanted to share some of our highlights with all of our partners and supporters who we we've lucky enough to collaborate with over the last few months. We also want to say a huge thank you to all the volunteers who have given up their time to support us over the summer months - we couldn't have done it without you! The younger residents of Grahame Park we're kept busy too - thanks to Barnet Homes for another successful Urban Gamez! 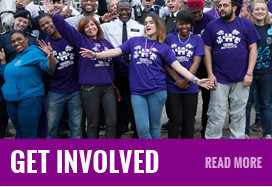 Beyond Grahame Park, we partnered with The Challenge Barnet. Thanks to the hard working, young, volunteers who engaged with members of the public at The Broadwalk Shopping Centre. As well as launching 'Let There Be Light' a campaign to improve lighting in parks across the London Borough of Barnet - sign the petition here! It's been an amazing summer, we're already excited about next year!